Julie Daines: The Didgeridoo: How is it Possible? Is it an instrument? Is it a stick of wood? And most importantly, how can you get more than two octaves of notes from it, not to mention all the other cool sounds it can make? 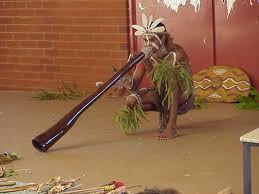 The didgeridoo is from northern Australia and dates back over 1000 years. They can be 3 to 10 feet long. Didgeridoo players have to use circular breathing, meaning they continue to blow air into the didgeridoo while at the same time taking in breath. Listen to how cool they sound. Wait! Before you listen, I need to explain this clip. It's by an awesome band called The Wicked Tinkers. They are a Scottish bagpipe band. This song has a cool didgeridoo introduction. Now we have a whole new mystery: Bagpipes and a Didgeridoo? How did they come up with that combination? a couple of my grand-kids just took part in a talent show at their school--a child played this instrument--it was very lovely---my granddaughter who is not quite 2, hummed along perfectly---thanks for the post! Sounds like a pretty talented group of kids! It is such a distinctive sound. I can't imagine being out in the wilds of Australia and hearing that noise floating on the breeze. I have heard bagpipes on the breeze in Scotland though. I love the bagpipes too. My husband plays. But when he practices in the house, it doesn't sound like bagpipes floating on the breeze, it sounds like a bagpipes nuclear explosion. Loud. This makes me think of grandpa's didgeridoo at the cabin. And the biggest question - how do you spell that?? We should totally make him play for us. I've only heard him play that thing once or twice! 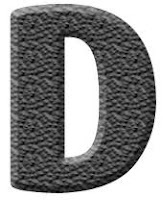 You should add this to your list of spelling words for next year. I LOVE the sound of a didgeridoo - and the name is quite appealing too! Sort of an all-around cool instrument. The tappy stick definitely adds to the coolness. Thanks for stopping by. I will have to check out this band! Bagpipes AND a didgeridoo? Awesome! They have some awesome stuff. They perform live every year at our local Scottish Festival. That has got to be one of the most original "D" entries I've read! I do remember seeing those when I was in Australia and I'm amazed that people can coax music from it! Thanks for stopping by! They are pretty strange instruments. Now that is some combination!! Love it. Wow! I've never heard of a didgeridoo. They sound pretty cool. Thanks for sharing.